Our thanks for great help in the details go to Lawrie Hodges, Lt. Col. Eric Herrington MBE., Terry Joll and Major Stephen Taylor QM. also to Major General Barry Lane CBE for suggesting these details be added to this website. Vic Worster - Som.LI - SCLI - RSM then to Major QM. Gordon Besford - DCLI - SCLI - CSM then to Major GD. Colin Harding - DCLI - SCLI - RSM then to Major QM then GD. Paul Taylor - SCLI - RSM then to Captain QM. Harold Royffe - DCLI - SCLI - RSM then to Lt. QM. R.C.B. (Dodger Cox) - SomLI - SCLI - RSM then to Lt Col. QM Cox. Rose through the ranks to RSM on 26 April 1967, succeeding RSM Lynas-Gray, and was RSM with SCLI in 1968. Promoted Lt. in 1969 (Short service combatant commission) and retired with rank of Lt.Col. in 1983. Bill Lloyd - SCLI - 1LI , 2LI (RSM) in Gibraltar. Died 13 September 2002 aged 75yrs. Enlisted KSLI in 1946, then as a result of a mistake made by a clerk in the Bombay Holding Unit who crossed out the letter K in KSLI he was posted to Som LI in India in 1947. He transferred to the 1st Bn. 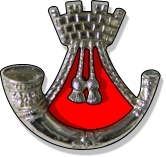 Parachute Regt. in 1948. He returned to Som LI.towards the end of their Malayan tour. He had risen to CSM by the time of the formation of SCLI. Shortly after the presentation of the Colours in 1962 he was posted to Junior Leaders Battalion at Oswestery as RQMS. He then returned to SCLI as RSM. He was commissioned in the rank of Lt. in 1967 as 2i/c HQ Coy.Shortly after this he took over as MTO. and held this post till 1973. He was promoted to Capt on 12th. May 1969. In 1973 he was posted to command 18 Cadet Training Team in Plymouth, he retired from this post and the army in 1977. Kenneth E. Bartlett. Died 7th February 1987 at Llandudno Hospital Wales aged 74yrs. Enlisted Som LI. in 1933. Rose through the ranks to RSM with both Som LI & SCLI. Retired as RSM in 1968. Awarded MSM in 1954 in Malaya. MBE in 1957. Chico Edwards - DCLI RSM - SCLI - then Major QM MBE - SCLI as Major Recruiter in Redruth. Roger Nicholas WO 11 regular to RSM CTT. John Fouracre - SomLI - OxBucksLI - SomScouts - SCLI - DCLI TA - Pte in SomLI in 1939, commissioned in 1960. Lieutenant Colonel Tom Meredith MBE. Pte in SomLI 1935, 1941/45 1st Para, SomLI - SCLI - LI Regimental Depot in 1964, he held the most senior Quartermaster's appointment in the Army as Staff Quartermaster, Ministry of Defence AG 2. from 1964 to 1971. Promoted Lt. Col. in 1968. Roy Gillard - MBE - Som LI/SCLI. - RSM. then to Captain QM. Jack Frost. Major QM. Died 9 August 1989 aged 72yrs. Enlisted Som LI.1935. was ORQMS with Som LI. at the time they left India in 1947. In 1951 he was posted to DCLI as ORQMS and returned to Som LI. as RQMS. He was commissioned in the rank of Lt.QM in 1957 in Som LI. and then with SCLI promoted Capt in 1961 and Major on 15 November 1965. He was later posted to the LI. Depot at Shrewsbury and retired from there in 1968. Capt. Ray Puddy MM, (Malaya), Som LI/SCLI and finished in 1KOYLI. Gordon Walls - RSM 1LI and Ops OffIicer, RSO, Trg Officer MTO, Company Commander and Quartermaster, during its tour In Omagh NI with 3LI and a short time with 1 LI. I served in the SCLI from November 1963 until it formed the 1st Bn in Gravesend.